While most of us are dreaming about hanging out at the pool at Camp at this time of the year, there are some great ways to make the most of our cold winter climate. Here are 10 must-do winter family fun activities! After a fresh snowfall, you’ll want to make your mark in the white fluffy stuff whether it be by cross-country skiing, downhill skiing, tubing, or snowboarding, For more information on trails, hills and snow conditions, visit Brookvale’s website , your guide to winter fun. We recommend Winter River Trail. There are plenty of indoor and outdoor facilities for skating in PEI, including some really fun outdoor spots! Check out the City of Charlottetown’s Skating Schedule. Dog Sledding is becoming a more popular way to celebrate the great Canadian winter! Snopak Dog Sledding Adventures in Nova Scotia is the place to try out this one of a kind adventure! Dress your snowman in one of your old Halloween costumes or used clothing. Use drops of food coloring to make colorful streaks through the snowman. Have contests to see who can make their snowman look most like your favourite character, a friend, you, or Mom or Dad! Sliding downhill is an exhilarating activity! 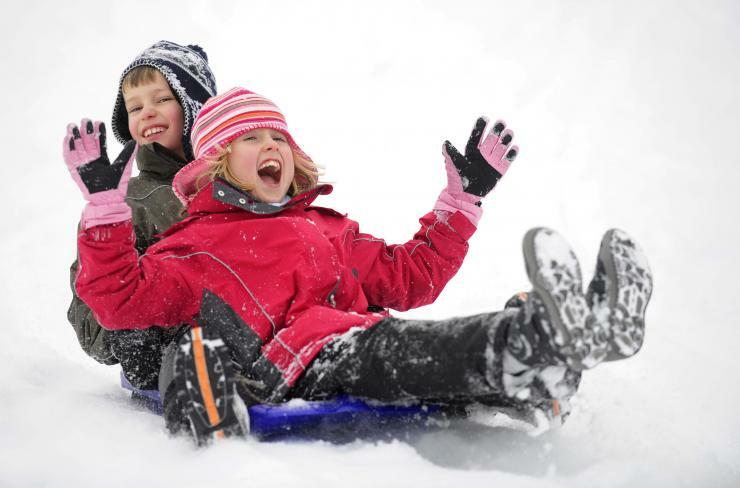 You can use sleds, tobogganing carpets, or toboggans. Scout out a good, safe hill to conquer with that toboggan you’ve been storing in the garage! Children five to nine year of age are most susceptible to injury so make sure to wear a helmet on bigger hills. Stonepark Elementary Hill is our Favourite! Make a snow sculpture for some creative outdoor fun. Plow your driveway or yard to pile the snow high. Begin to sculpt with your hands, spoon, shovel, or other tools. Use your imagination to carve a form such as an animal, a snowman, Santa, or anything with a Winter theme. You can add color to your snow sculpture by dissolving food coloring in water and painting it on the sculpture or mixing it with the snow. Have a fun and don’t forget to take a picture and #Seggiewinterfun when you’re done! And for those winter enthusiasts really looking to get away, here’s your chance to pack in all your favourite winter activities all into one place! Check out the Jack Frost Festival - PEI’s biggest winter family festival. So why stay cooped up this Winter when there is so much to do to enjoy our great Canadian outdoors! Get out, bundle up, and have fun! 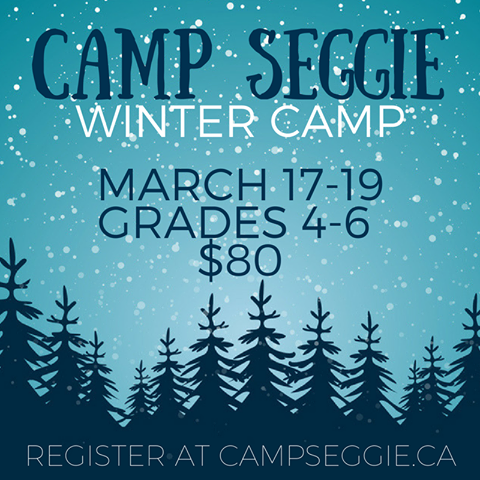 And Don’t forget to register for Camp Seggie’s Winter Camp! Don’t miss out on Winter Camp!